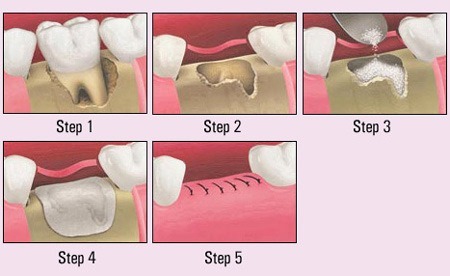 After a tooth has to be extracted due to trauma, bone loss, or extensive decay there is need to restore the bone to its natural form following the loss. A bone graft can be used to minimize bone loss and maintain the bone support for adjacent teeth as well as future implant sites. The grating material allograft is donated from a tissue donor that has undergone rigorous testing to ensure quality and safety first and foremost. Sterile techniques are used to help prevent contamination when the procedure is performed and clinical studies show the graft method has an excellent safety record.